All four 2017 Bulls have been placed. Two American Aberdeen Steer Calves for sale: $350-$650. Both for $1000. 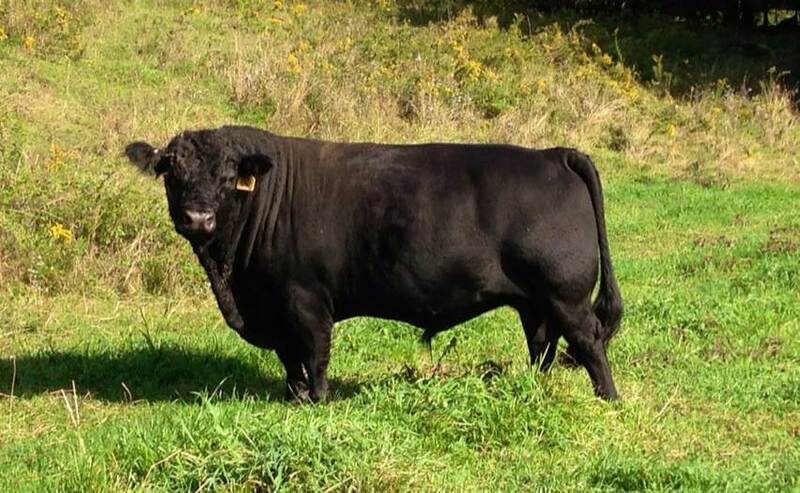 Below Photo is of a 2015 Moderator Bull we bred by Lazy G Sam. 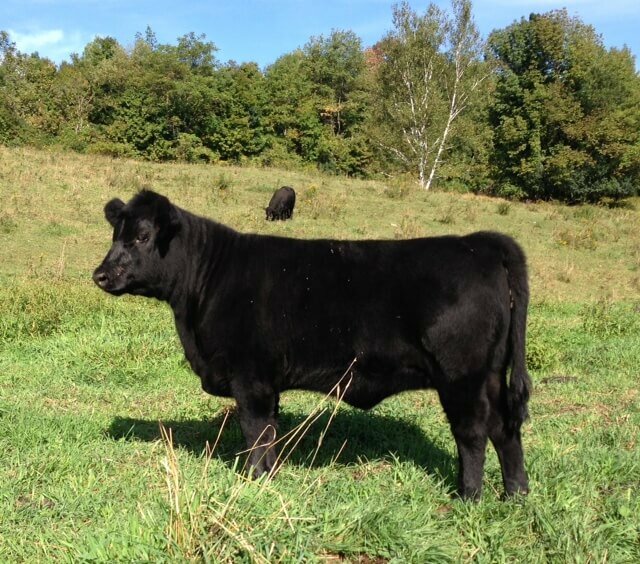 Below is a purebred heifer calf we bred and sold by Lazy G Sam. These are wonderful calves for use as 4-H projects, market steers, feeder calves or for adding some American Aberdeen genetics to your herd. Our grass fed steers at 24-26 months produced beef weighing 300-350 lbs per side.